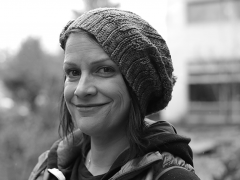 Ann Paradiso is an interaction designer and Principal User Experience Manager at Microsoft Research. She works on both the Microsoft Research Advanced Development Team and the MSR NExT Enable Team. She is currently working on designing eye-gaze based experiences around mobility, communication, music, and interactive play for people and caregivers dealing with Amyotrophic Lateral Sclerosis (ALS) and other related conditions that affect speech and mobility. She’s director and founder of the Hands-Free Music Project (A.K.A. Red-Eye Sound Studio), a participatory design project with members of the ALS community. 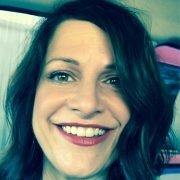 Her professional interests include new interaction paradigms in assistive technology; wearable, mindfulness-based interaction approaches for behavior modification and nervous system regulation; exploring the relationship between technology, music, mental health and quality of life for people with chronic and acute disability; and creating a scalable, cost-effective VR and AR-based platform for clinical treatment of anxiety spectrum disorders.